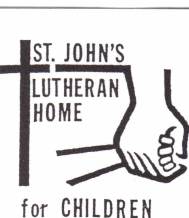 Mission Statement: Our mission is to perpetuate the historical ministry of St. John’s Lutheran Home for Children to area children and youth. Vision Statement: We exist to review and evaluate selected children and youth ministries within the 4th Judicial Department of New York, providing financial assistance to approved programs from the income generated through the wise and prudent investment of our assets. Regular Board Meeting Called to order at 2:05 PM with Prayer by Nick Stroczkowski. Excused: Griep (honorary), Heckerman (Honorary), Kenline, Lanau, Menz and Mertzlufft. Absent: Hilary, Kenline, K & T Mansfield and Steeves. Mission and Vision Statements were read by Gail Dietz. Correspondence: Presented by Ron Peters –1) Newsletter from All Saints, 2) Insurance Bill from State Farm for Liability Insurance. Brochure Committee – George Roeser – There is only enough brochures left for the Awards Dinner. Committee working on re-writes. Lasertron event for under privileged youth and the balance to be held in a reserve fund for future youth events. LCLC: Lee Lindeman – Lee distributed a new brochure for supporting LCLC. The bequests from the Garman and Dorr estates will insure the growth of LCLC for years to come. St. John’s is mentioned on any support literature as a supporter as well. Work week-end is April 13th & 14th. A discount is available for youth attending summer camp if they have attended youth camp as well. They are working on trauma support and training for camp counselors. Wrapping up the remodeling of cabin’s 5 & 6, New climbing tower & zip line (35 ft. long) will be ready for use this summer. They have been incorporated since January 2010. Membership: Sue Swanson-Wittek – Sue has sent letters requesting members from area churches not already represented on the St. John’s board. She has also contacted the NLH Guild for a presentation at a Guild Meeting. The board requested she ask them for available dates, the guild says it’ll be at least a year before one is available. Niagara Lutheran Home – (not supported by St. John’s) – John Mosher reported that the ground breaking for the new child care and resource center is coming up soon and Ron Peters reported that the new 24 bed addition has been started. Scholarship Committee – Judy Polowy – Awards Dinner May 3rd is sold out. The board inquired about a larger venue, Judy reported that it had been tried and attendance actually went down. Seneca Street CDC – Ron Peters – Next Finance Meeting April 18, 2019. Suggestion - Bring back the annual board dinner – A motion made to try to plan a group event every year. M/S/C For 2019, Judy Polowy will host a St. John’s member Summer Picnic, date to be determined. NFC Spring Assembly, was April 6th – Ron set up brochures and sent Laurie at the NFC the annual report to be included in the agenda. Judy Polowy presented St. John’s outline to the group. Assembly was at All Saints, Hamburg, 9-noon. What is the limit of members? How and what do we stand for? What are the terms (are there limits) of membership? Should the board meet monthly? Would it help to meet less often? President Patterson asked for ideas to entice members and attract new members, even if done anonymously. Executive Board and Finance Committee – Thursday, May 2, 2019 at 2:00 PM at Amherst Lutheran Church Purpose is to set up 2020 Budget & review investments.